Dazzle Drums ?Voodoo Drum / Russell Street? 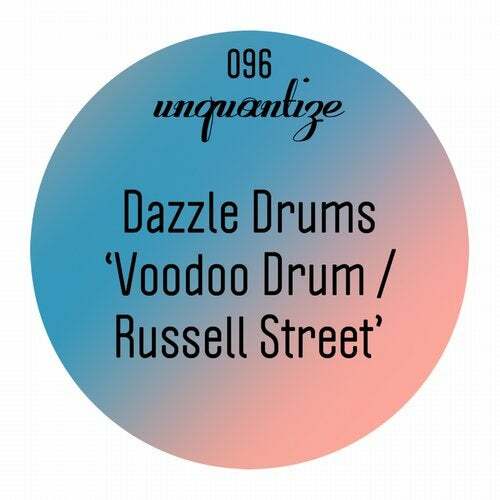 Unquantize welcomes Tokyo's Dazzle Drums to our roster with this incredible two track banger. Working together since 1997, Nagi & Kei Sugano (Dazzle Drums) have produced many top-notch dance tracks and ?Voodoo Drum? is no exception. Featuring DJ Spen on lead vocals, this tribally influenced track is a peak hour floor filler. Additionally, ?Russell Street? is an electronic masterpiece with killer beats, synth stabs, and an amazing percussion solo that is sure to delight any dancefloor. Both tracks are destined to be blasted by DJ's worldwide! !